In the early stages of a Monopoly game, you generally accumulate a somewhat random collection of properties. After moving your token (I prefer the top hat, naturally) around Parker Brothers’ version of Atlantic City once or twice, you might own Vermont Avenue, the Electric Company, St. James Place, the B&O Railroad, and Park Place. 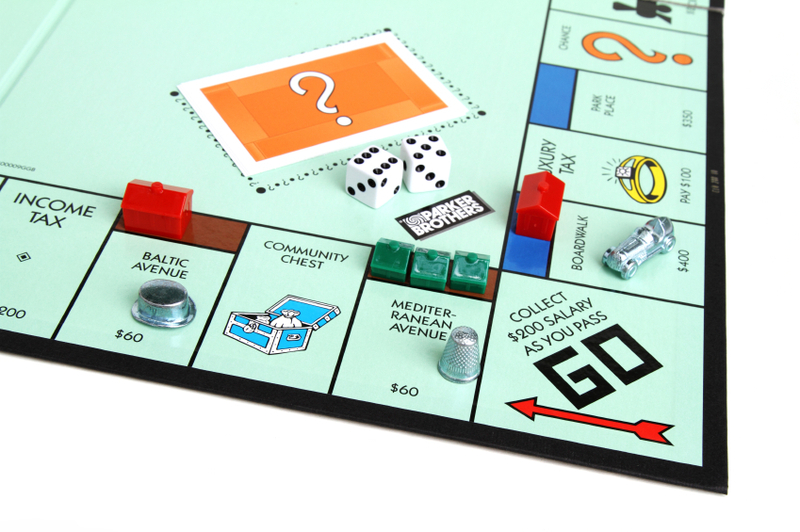 In real life, that might be a well-diversified portfolio, including transportation, utilities, and real estate — but in Monopoly, where the goal is to have all the properties in a sector, that’s not what you want. So, after a few months, what do I own? Only two of my investments have closed, so those are the only two I will discuss. The first is e-Chromic Technologies, a manufacturer of electrochromic window film. Heat absorbed through windows is a major driver of air conditioning costs in office buildings, especially in warm, sunny climates. The proprietors of such buildings could save a significant amount of money if they could reduce the absorption of heat. But, since office don’t like working in windowless office buildings, covering up the windows isn’t an option. So, instead, e-Chromic will provide a film that can be applied to the windows. The film is normally transparent, but can be darkened by applying a bit of electricity. So, the office manager can darken the windows when desired, reducing the heat reaching the interior of the building, and therefore driving down air conditioning costs. Of course, you could just buy electrochromic windows, so what’s the advantage of the film? If you’re building a new building, perhaps there is no advantage — but if you have an existing building, replacing all the windows is expensive and difficult relative to installing window film. And, since there are a lot more old buildings than there are new ones, the potential market for e-Chromic’s products is large. Of course, as e-Chromic is a startup, most of the preceding is theory, not practice. The company has licensed patents for technology developed by the U.S. Department of Energy, and is working on the manufacturing technology required to produce electrochromic film at scale. Proving that the product can be affordably mass-produced will be one of the largest problems to be overcome. I feel that the company is a good investment because the technology has already been demonstrated in the lab, because the company should be able to use patents to protect the technology, because the economic and environmental benefits seem likely to make the product valuable, and because the valuation for the company seemed to allow the potential for significant upside. I used the very “feel” in the previous paragraph because I think that it is impossible to be scientific about these companies. Even the best VCs frequently bet on companies that fail, and I’m an amateur. I’ve found it interesting to see that a lot of my fellow angels have relatively firm heuristics for valuations; a company that is valuing itself significantly above $5M is going to find it a lot harder to raise money from this group of investors than one that values itself at $2-3M, even if it has a strong team and good technology. These kinds of rules of thumb help to “protect the upside”; if, as an investor, you can’t be terribly confident in your bets, you at least want to be sure that you win big when you pick right. My other investment thus far is in Boost.VC, a very different enterprise. Boost.VC is an “incubator”, which is a hot business model for early-stage investment in Silicon Valley these days. In return for an equity stake, incubators provide start-ups with a small amount of capital (typically less than $25K), infrastructure (office space, sometimes housing for the founders, access to technology), and advice (via a team of mentors). Upon “graduation”, the incubator works to find follow-on investors to provide additional capital to the start-up. Most incubators specialize by technology area, location, or some other characteristic. Boost.VC’s particular focus is on startups that are in some way doing something with Bitcoin. Bitcoin, of course, is the digital currency (or commodity?) that has gotten so much attention over the past couple of years, both because of it’s potential disruption of traditional currencies and because of the Mt. Gox debacle in which a lot of customer funds appear to have been lost. History aside, the financial services market is vast, many financial services are still relatively expensive, and Bitcoin could help to remove some of that cost. Of course, an investment via an incubator is a meta-investment; you’re betting on both the incubator itself and the incubated start-ups. Boost.VC is run by Adam Draper, who comes from a long line of successful investors, and seems likely to have good access to deal flow (i.e., potential start-ups) and capital. By providing capital to the incubator, and therefore being privy to some its investment decisions, I hope to be in a better position to make good decisions about whether to make follow-on investments in the incubated companies. So, I look at my Boost.VC investment as a small, diversified bet on the Bitcoin sector as a whole. Like a Monopoly player in the early stages of the game, I’ve accumulated two investments that have nothing to do with one another. I’ve got a few more investments in progress, but neither of them has anything to do with either Bitcoin or electrochromic window technology. Perhaps I’ll eventually feel that I should focus my investing on a particular area, but, for now, I’m just picking up properties that seem like they might be valuable. I’m not sure I will pass GO, but at least I’m confident I can stay out of Jail. Mark, thanks for being transparent about your investing logic. Fascinating to watch your thought process evolve from your first post on “sectors of interest” to now. Yes, I reserve the right to learn things — or at least to think I learn things — as I go along!